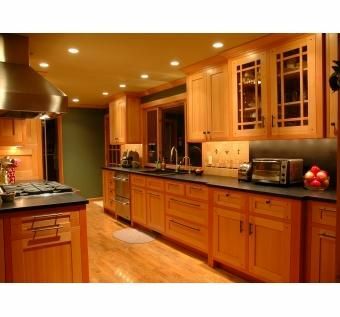 This is a hybrid Craftsman style kitchen fabricated in vertical grain fir. 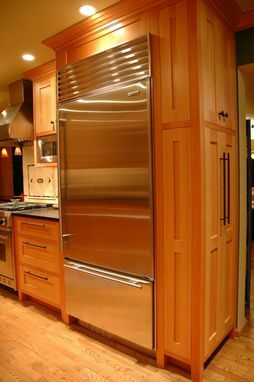 The cabinets have flush inset frame and flat panel doors. 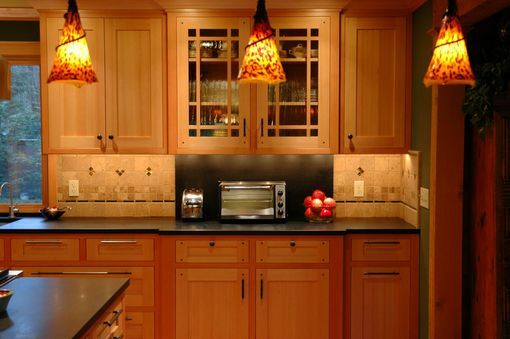 Pendant lights and backsplash incorporate Venetian glass details. 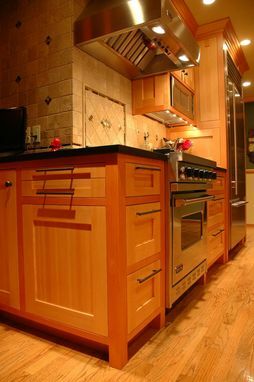 The kitchen was featured in the May, 2010 issue of Fine Homebuilding magazine.